In the summer of 2006, Vir Das flew an Air India plane while high on prescription painkillers. Later that very year, he signed his first film and had a romantic encounter with a top Bollywood actress. Two years later, he shared a fistbump with the President. Do you think these stories are true or false? For the first time ever, India’s highest selling comedian, Vir Das gets up on stage and shares stories from his life. Stories that are absurd, crazy, exaggerated and downright hilarious. But are they all true or false? 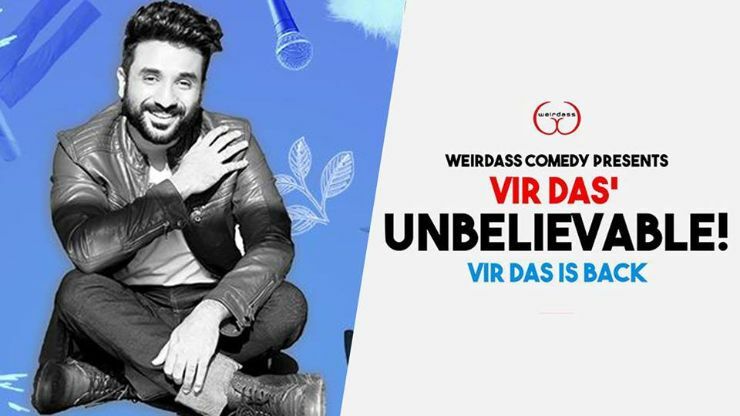 That’s up to you, the audience to decide at Vir Das’ brand new special – Unbelievable.